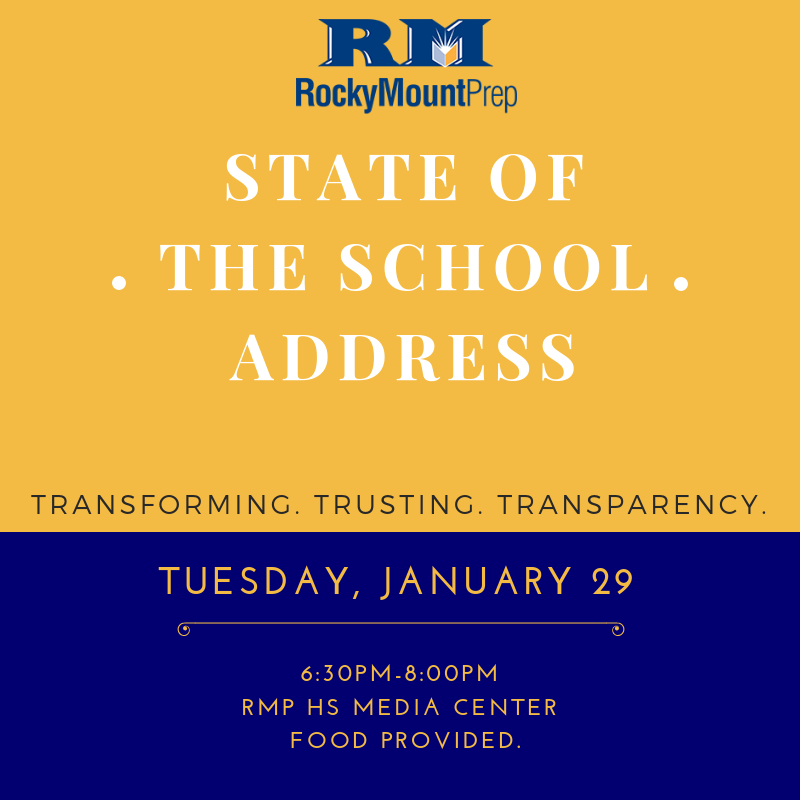 A State of the School Address will take place Tuesday, January 29th beginning at 6:30pm. A State of the School Address will take place Tuesday, January 29th from 6:30-8:00pm. 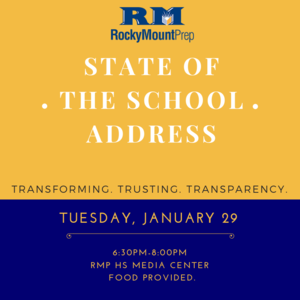 Head of School, Todd Pipkin, will address many of the positive initiatives being implemented at Rocky Mount Prep and paint the vision of the future of the school. All are invited. Food will be served.